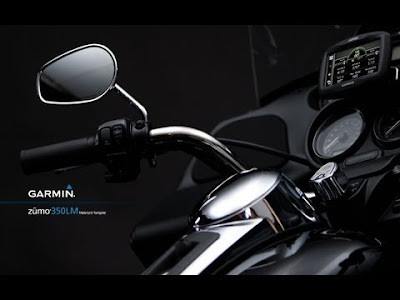 ZUMO 350LM is a New Motorcycle Navigator which is most useful for all the Bikers specially designed for bikers and by the bikers. 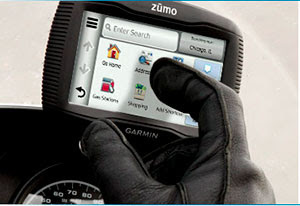 Though its Rainy, Stormy, Icy outside the streets, ZUMO keeps working. 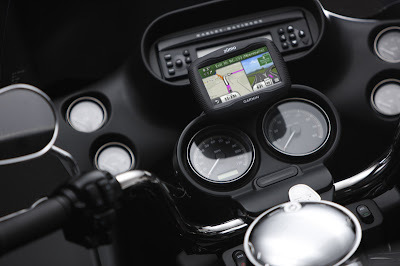 Zumo's screen is highly visible and also readable in sunlight, Touch screen with a glove-friendly interface, Turn-By-Turn directions with a spoken Bluetooth enabled Helmet or Headset sold saperately. 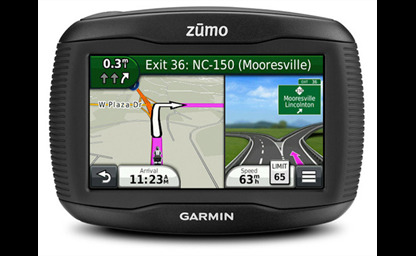 Zumo will keep record of everything where you can't do sometimes, we can record data like tire mileage, tire change, oil changes, new spark plugs and many more can be stored in 350LM. Highly visible, Sunlight Readable 4.3" Touch Screen Display. Water Proof, Built with Fuel resistance Plastics. Mapping, Lane Assistance with Junction View. Protetcted again water immersions for 30 minutes at a depth of 1m. SUGGESTED PRICE : $ 699.99 USD. A Bike is an Extension of Your Body, Zumo is an Extension of Your Mind.